Bachelorette party packages in Las Vegas can offer a range of live entertainment, music shows, beauty packages, VIP party deals and drink specials. 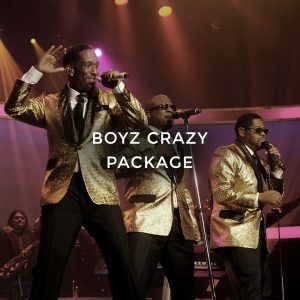 The types of packages a bachelorette can select can be based on several different types of entertainment rolled up into one big extravaganza, or a few types of entertainment to enjoy throughout the day. By being able to personally select what to see and do during her stay, the bachelorette can find more thrills and fun before the wedding day. While it is true that a lot of the music found at bachelorette parties are spun CDs from the DJ in the nightclub, there are also a host of live concerts available. Bachelorettes can swing their hips to the dance beat as national musical acts take to the stage, such as Britney Spears’ “Pieces of Me” at Planet Hollywood. 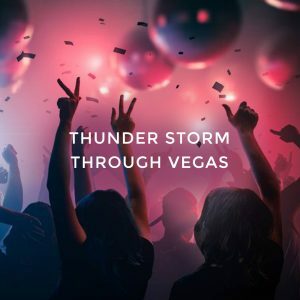 Some musical acts have a residency performances while other musicians schedule tour dates to include venues in Las Vegas. When it comes to restaurants, Las Vegas offers an eclectic menu to match the myriad of entertainment opportunities find throughout Sin City. Tacos, shrimp, miso ramen, dry-aged steak, and custard are only a few of the dishes served by restaurants. Bachelorettes must decide whether they are looking for a buffet-style establishment or a nice sit-down meal as tables can get booked up quickly. Luckily, by selecting bachelorette party packages in Las Vegas, women can get the seating they need for their group of hungry friends. Las Vegas can wear down the energy level of bachelorettes as they struggle to look their best before hitting the town. Throughout the city, beauty salons and spas are welcoming bachelorettes to relax, rejuvenate and look their very best. Women may go for the bare minimum for their bachelorette parties such as a manicure and pedicure combo. They may also go for full package deals that include hair styling and makeup artists. When it comes to setting up the ultimate bachelorette party packages in Las Vegas, there are very few limits on the types of things that a woman can do to celebrate her coming nuptials. They can use the limits of their imagination to create a thrilling and fun night for themselves and their friends.